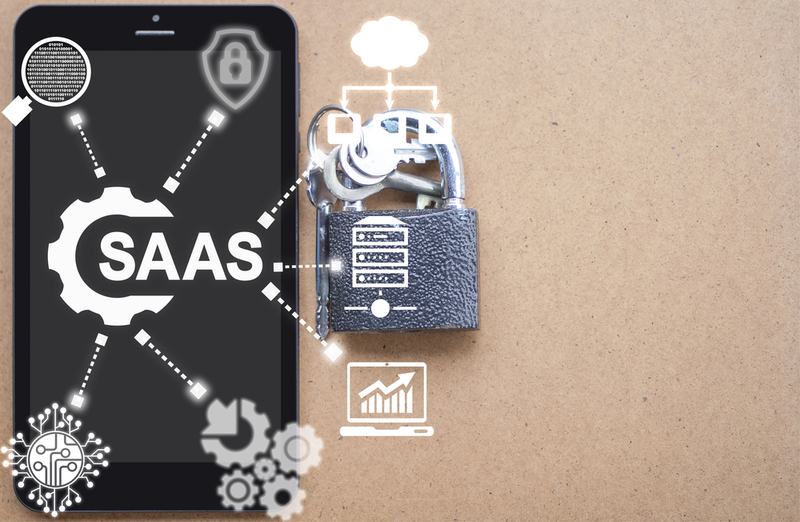 As use software-as-a-service grows, more and more small to medium businesses that utilise SaaS in order to remain agile and keep down hardware and maintenance costs, so do their concerns about SaaS security. So what are the benefits of SaaS and how does Security apply in the cloud and what can be done to mitigate these risks? The cost of using SaaS can be very attractive when compared to the costs of using hardware and Software in the traditional IT Department. This obviously includes cost of staff and maintenance and the time it takes for hardware and software to be tested in a business environment to ensure projects are viable. But SaaS can quickly spin up a virtual machine with the software required in a test lab and a test can be run to see if it will work in a few short hours rather than days or weeks. This will allow business to use those savings to target specific Security Requirements that they deem to be most important to their business. The ability for small to medium businesses to use a Virtual test lab or to allow their staff to access business critical documents from anywhere on almost any device can be crucial to their success. This also means these business can allow their staff to work from home or anywhere across the world while keeping a small office or offices where they require them without the need to worry about hardware and staff costs for maintaining such a large infrastructure This can give a business the flexibility to adapt to new business challenges when required without worrying about potentially massive financial losses. Access management and the privacy of sensitive information has to be the greatest risk consideration around cloud and hosted services. Things such as ……. · Where the data is stored? · Who else has their Data stored on the same physical server? · What physical Security is deployed at the location? · How do they Vet their staff? · What other Security Measures do they have in place? · Where is your Data backed up? In my opinion SaaS is the way forward and more and more businesses will move over to some sort of SaaS model. it will take longer for larger enterprises, giving new small to medium businesses an edge. With the way the current world economy is, more and more businesses will switch for the financial benefits alone, never mind the flexibility it grants users and clients. The security provided by SaaS is improving constantly and it only a matter of time until a new compliance framework appears to fill any remaining gaps.